Hi there! 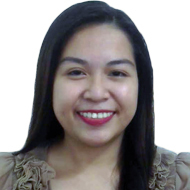 I am Teacher Muriel, a Licensed Professional Teacher, from the Philippines. I have taught English to young Filipino students for one year. I am currently working as a high school teacher and a college instructor. I can teach kids, teenagers, and adults. We will explore Grammar, Pronunciation, Vocabularies, Travel English, Business English, and other related topics in my class. We will also work on your reading, speaking, listening, and writing skills to develop your English proficiency. I believe that learning English is fun! Having a second language helps you appreciate other cultures, meet new people, and gain a broader perspective of the world. You will be able to sing songs, read books, and watch movies in English with less or no difficulty at all. I am looking forward to becoming your teacher here at EIGORU. See you!